PLEASE NOTE: this website has taken on several roles. First and foremost, it is the website for the Girls Varsity Soccer Program at Hamilton. However, in an effort to help serve the growing girls soccer youth programs, there will also be information posted about activities in many of those events as well. Thus, you will see information about our Middle School team as well as any youth teams that may be developing our young talent. High School information will be posted first under HIGH SCHOOL POSTS. Middle School will be down the page under MIDDLE SCHOOL POSTS. 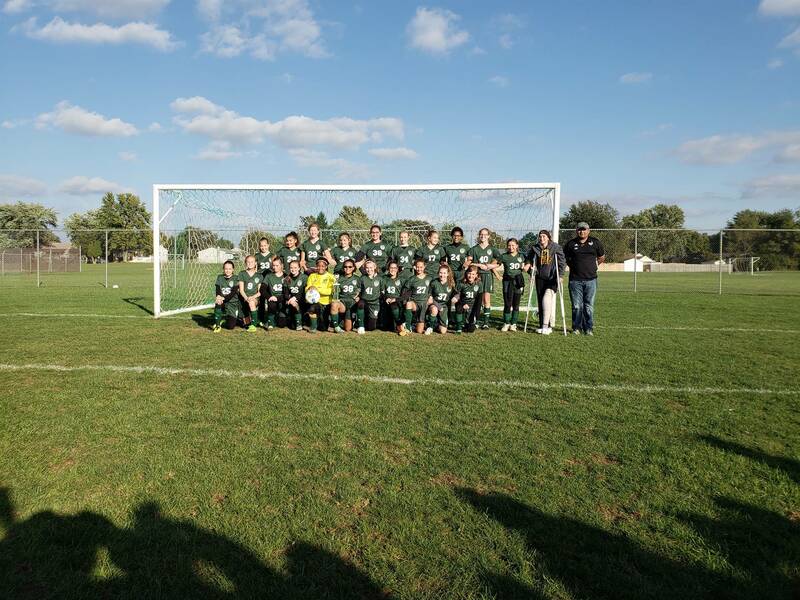 Player and Program development is of utmost importance to the Hamilton Township soccer program. All players are responsible for continuing practice outside of training to achieve maximum progression. This is a great opportunity for players to take the lead of handling their own development. Being on the Varsity team is a privilege that must be earned. Coaches maintain a rubric based on the following categories: Work Rate, Discipline and Skill Level. Game Day selection and playing time are dependent on tactical adjustments, team needs, and at the Head Coaches discretion. Doubling players are allowed to participate in up to 3 halves per day according to the Ohio High School Athletic Association. All parents are required to follow the Soccer Code of Conduct procedure to discuss player concerns. Soccer Code of Conduct is published on link to the right under team calendar. 1. Finish .500 or better for regular season. 3. Maintain goals against average of 4/ game or better. 4. Keep big games closer. No more than 0-6 to maintain goals against average. Kierriana Hennings and Hannah Lawson earned MSL Honorable Mention. 1 player selected for DI District All-Star game. Set individual records in saves. Girls and Boys Soccer Program will be hosting a summer camp. Campers will get instruction from the Boys and Girls Varsity Team as well as Coaching Staff. Campers will be divided by age group to ensure maximum learning opportunity. Register by June 2nd to ensure a Camp T-Shirt. Cost is $40 and registration form must be turned in with payment. Registration can be turned in to the Elementary School Front office, to Phys. Ed. teacher Josh Eaton at the Intermediate, to Phys. Ed. teacher Kate Capezutti at the Middle School and at the Athletics Office at the High School. Camp Flyer and Registration are posted below. The Girls Soccer Program will be conducting Spring Workouts. Girls interested in participating next fall are highly encouraged to attend. Open Workouts will be held at the Intermediate Gym on Fridays at 5pm. They begin March 22 and wiil go through May 3rd. Middle School will be having Spring Workouts on Fridays from 5-6:30pm at the Intermediate Gym. These sessions begin on 3/22 and will go until 5/3. All girls Interested in playing for the MS team next season are highly encouraged to attend. All dates are in Girls Soccer Calendar on the top right of this webpage. Home Website of the US National Team Programs including the Women's National Team, the number one ranked Women's National Team in the World. 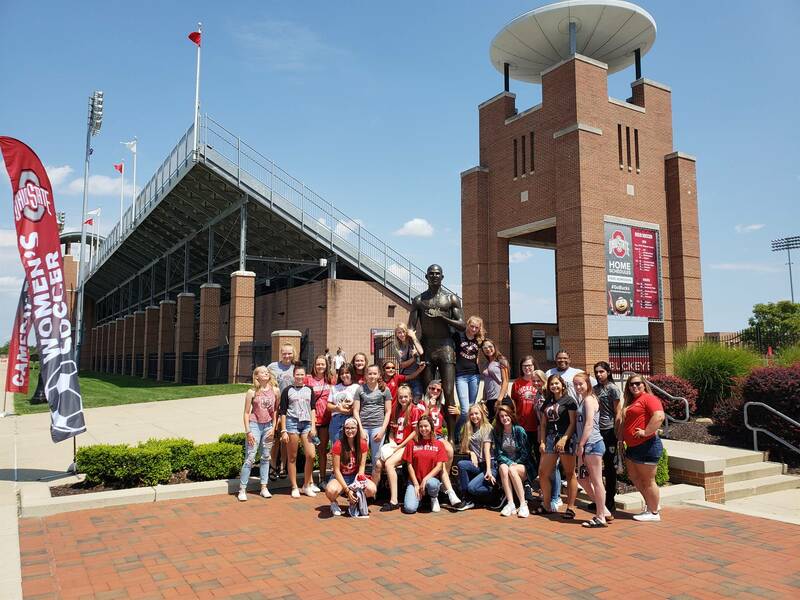 Official site for The Ohio State University Women's Soccer Team.